NOTE: This set sold as a donated item at the Pratt Fine Arts Center's 2013 fund raising auction (www.pratt.org). 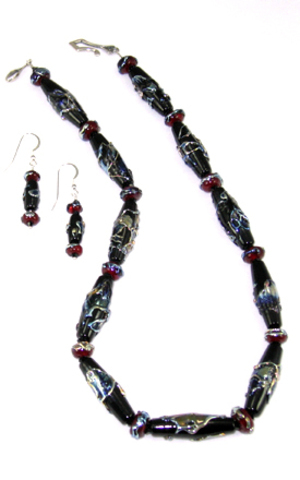 This set features twenty-nine handmade beads in black and a very luscious red. The beads are decorated with thin shards of glass that is rich in silver.